Nuno Felt Scarf ” Lapping Waves” One off, hand made, hand dyed nuno felt scarf. 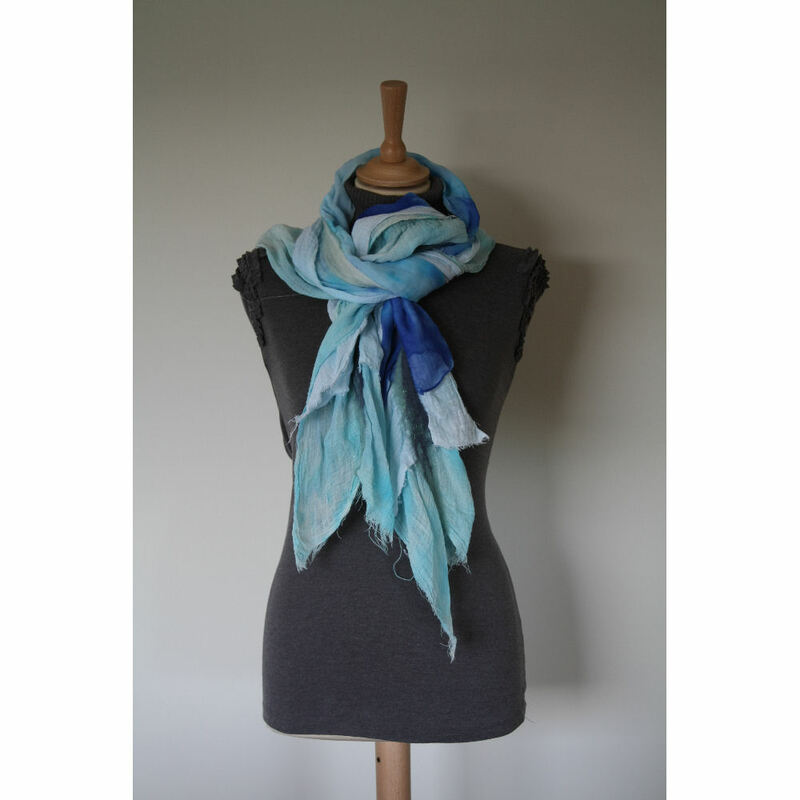 The scarf is made of 3 layers of hand dyed natural fibres; cotton muslin, lightweight cotton and silk chiffon. 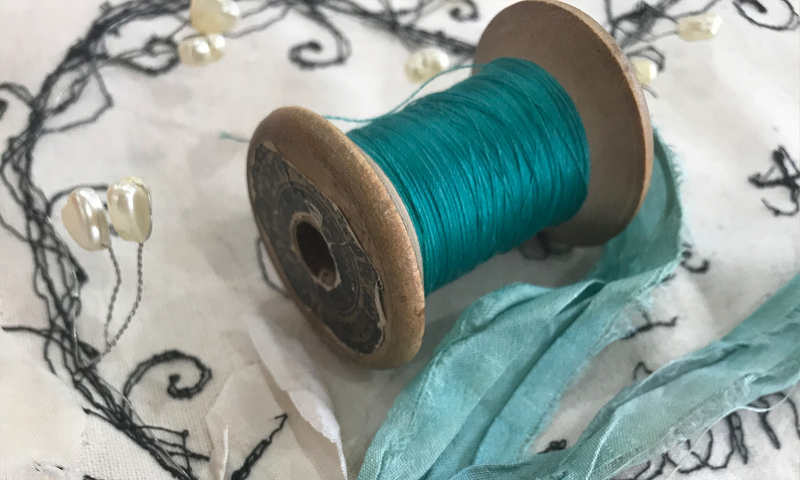 Due to the subtle differences in each of these natural fibres, they absorb the dye slightly differently which results in a multi tonal blue scarf. Essentially they are 3 scarves which are felted together down the spine of the scarf by the wool fibres creating the nuno effect. Despite being predominently cotton this is a suprisingly warm scarf the frayed edges and soft colours give it a more casual appearance making it a super addition to any outfit. Approximate length 140cm x 35cm. Product code – NFS ND LP 072011.